DeNa's Interiors & Remodeling has over 25 years of decorating experience. Known for our exceptional customer service, we gear every facet of our business toward customization and pride ourselves on attention to detail. We can work with you on all facets of home decor, flooring, paint selection, furniture selection, and full kitchen and bathroom remodeling. Our staff possesses a keen sense of style and keeps up-to-date with the latest trends to help guide you through the design process and find the perfect finishing touches for every room in your home. 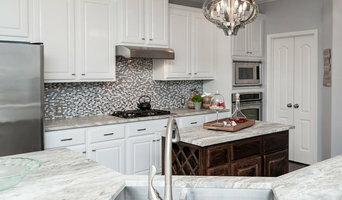 Whether you are selling your house or simply want a new look, our interior redesigns can improve lighting, traffic flow, and bring balance to your home with furniture placement and organizational techniques. Let the professionals at DeNa's Interiors help you organize your decorating ideas into a well-coordinated design plan for your home. Austin's Luxury Interior Design Firm. 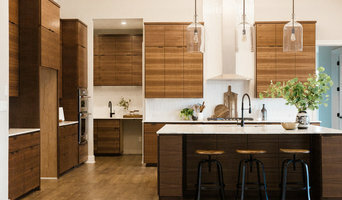 Best of Houzz Winner 2018! Bio Desiree Laux is the founder of Black & White Interiors. Her dream of creating a luxury interior design firm that is a one stop shop for design, renovation and furnishing needs was fulfilled by opening Black and White Interiors boutique design firm. Unlike most design firms, Desiree has her own vendors and line of furniture, offering a truly unique space. Using a combination of 10+ years of design experience, your unique style and an artful flair she makes your spaces timeless and dynamic. She uses a discerning eye to direct her team of premiere subcontractors, local artisans and vendors to execute and deliver one-of-a-kind spaces that her clients will love for years to come. Cultivating genuine relationships with her clients by focusing on superior customer service and quality is her primary belief. “What’s with the hair? ?” For her it’s an expression of her creativity and she feels “you only live once so why not have fun”. Apart from design, she loves spending time with her husband, three dogs and twelve…yes twelve chickens. About Us: Black & White Interiors reflects the taste of each of our clients. We take a hands-on project management approach to each of our designs, delivering unique yet functional spaces while respecting our clients budget and schedule. Whether updating a well-loved home, starting from the ground up or needing a refresh on your interior furnishings we will create a customized layout, material/decor selections and quality resources while delivering exceptional quality and service for your home. Design Process: Our designers handle all design aspects of your décor needs from concept through instillation. The days of shopping one store after another and stressing to find furnishings is over, we handle it all. During the consultation, we listen carefully to your needs and wants as well as your likes and dislikes. Once contracted the fun begins! We will start creating a detailed color board which includes floor plans, furniture, fabrics, rugs, fixtures, accessories and any and all material selections for your remodel. All furnishings are selected from our in-house vendors that we know and love. Once the design plan is complete we will review, refine and procure. Get to know me: Consultations are complementary! Jaimie Anand Interiors is a high-end, award winning boutique design firm. Voted Best on Houzz 2017 - We specialize in contemporary modern, chic, and transitional interior design and decoration for both residential and commercial spaces. We are focused on providing high quality and personalized attention to our clients with their design needs and with top rated customer satisfaction. Unlike many traditional interior design firms our boutique style business allows us to limit the clients we take on in order to give each and every one the personal attention and customized experience they deserve. We pride ourselves in each and every project and do what it takes to make your space comfortable and functional, all while achieving a final appearance that is stunning. Let me personally manage your project for you and coordinate everything from the floor plan to the finishing touches. Or take advantage of my experience and let me guide you step by step through receiving bids from contractors and making the right decisions, big or small. Give yourself peace of mind by knowing that you have me in your corner. Organization is personal and individual. No two people have the same organizing needs or style. We approach each client with fresh eyes and create a system to fit your life. We work hand-in-hand with you to create organized, easy to maintain environments for you. In the initial hour-long consultation, I evaluate the designated area's current purpose and function, then identify your goals for optimum efficiency, productivity and creativity. Armed with specific solutions that are tailored to meet your lifestyle and personality, you are prepared to take the first steps towards your fully optimized space. Joyce Marie Interiors provides interior design services for projects ranging from refreshing a single room to making design selections for new residential construction from the ground up. I believe in a collaborative approach with my clients that ensures a beautiful outcome that will enhance your lifestyle and reflect your unique personality and passions. I am an Interior Decorator and Stager. My passion is helping others love their space. Whether it is a new build, updating your current space, or staging your home to sell, I love connecting with my clients to meet their individual needs. Michelle Thomas Design (MTD) is an award winning interior design firm specializing in residential design for new construction and remodels. At MTD, our goal is to reflect the client’s personal style with timeless designs emerging from the architecture of the home. We strive to provide comfort and functionality of design along with creating a pleasurable experience and inviting atmosphere in the home! A good home design professional will hone your style down to its very essence and be able to choose a functional layout that feels natural to you. Interior design companies can be involved as much or as little as the client desires. Many clients who hire an interior decorator in Cedar Park, TX — particularly those who are remodeling — have a good sense of how the room should look and what products they should use. Often clients will insist that interior decorators use the products already present in the house. Other times a designer will need to start from scratch — especially if this is a newly purchased or just-built home. An interior design company will need to figure out exactly what the client needs, which includes organizing rooms, picking flooring and wall colors, and finding furniture to complement it all. Sometimes that means he or she will have to recruit help from other Cedar Park, TX home professionals to help create the perfect look for your renovation. Here are some related professionals and vendors to complement the work of interior designers & decorators: Architects & Building Designers, General Contractors, Home Builders, Design-Build Firms, Photographers. Do your research before meeting with an interior designer or home decorator in Cedar Park, TX. Ask yourself what you want your space to become and what it will be used for. Figure out the extent of what you need help with, what your must-haves are and what your budget is. Interior design services can add up fast, so be up front with a potential design firm or individual from the beginning. Also, pick an interior decorator that fits your style. Browse through the portfolios of different Cedar Park interior design firms and decide if you would live in those houses. Just because you like something doesn’t mean you could live in it. There's a big difference! 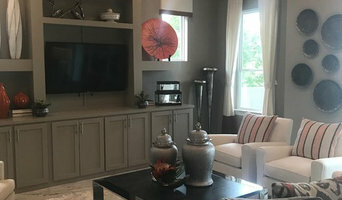 Find an interior designer or home decorator in Cedar Park, TX on Houzz. 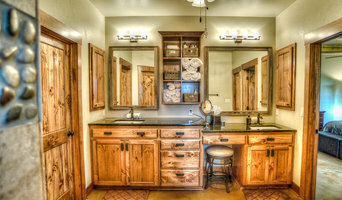 Narrow your search in the Professionals section to find Cedar Park interior designers near you. 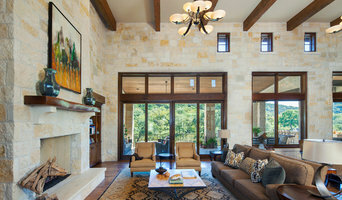 You can also look through Cedar Park, TX photos to find a room you like, then contact the design firm who designed it.